Help your pet get their best rest with an Aspen Pet® Quilted Gusseted Bed. Filled with recycled polyester fiber and designed for medium to large-sized dogs who like to stretch out during sleep. 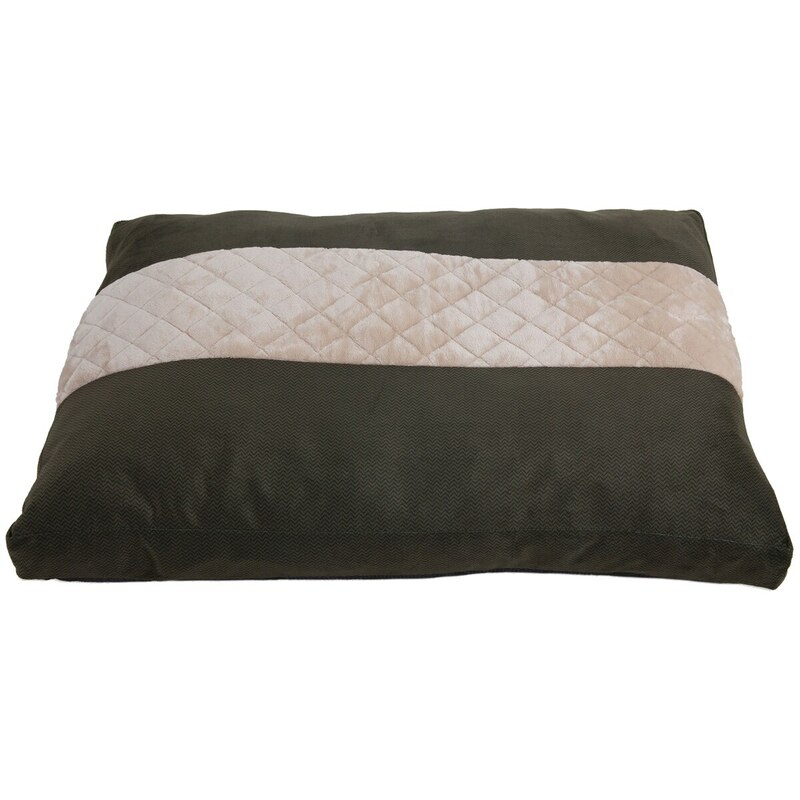 The luxurious cream colored quilted plush fabric runs down the center of the bed, while the rest of the bed is made up of a forest green rich, brushed shell fabric featuring a herringbone pattern. Measures 40 inches long by 29 inches wide. Designed for medium to large-sized dogs who like to stretch out during sleep. The luxurious cream colored quilted plush fabric runs down the center of the bed, while the rest of the bed is made up of a forest green rich, brushed shell fabric featuring a herringbone pattern. Measures 40 inches long by 29 inches wide.